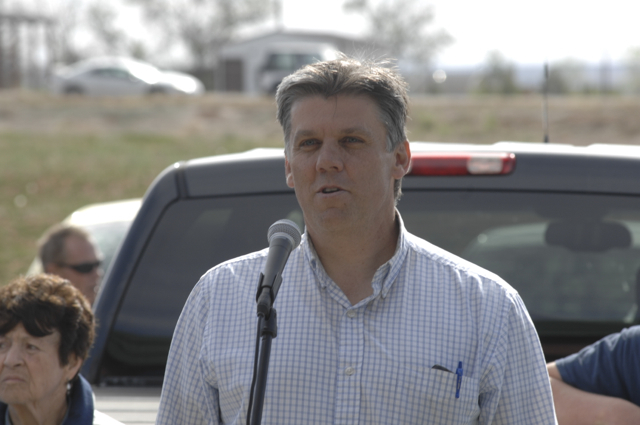 SALT LAKE CITY – The lawyers for San Juan County Commissioner Phil Lyman want the judge involved in the Recapture Canyon ATV protest ride case to remove himself due to a possible conflict of interest. 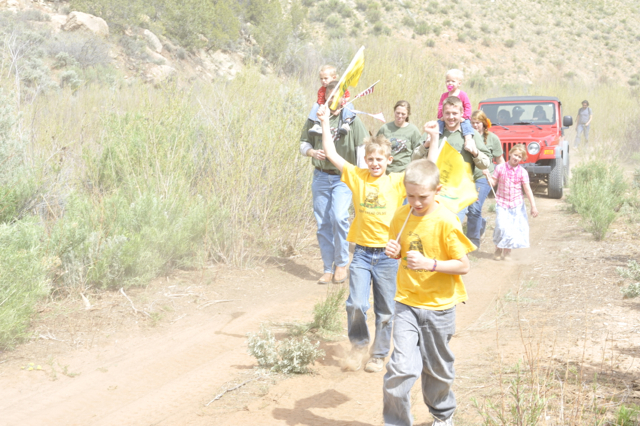 Lyman, along with Monticello City Councilman and blogger Monte Wells, were both found guilty by a jury for their roles in the May 2014 ATV protest ride into Recapture Canyon in San Juan County. Both were found guilty of federal misdemeanor charges of conspiracy and driving motorized vehicles through public lands closed to vehicle use. Two other defendants in the case, Shane Marian and Franklin Holiday, were acquitted by the jury. Lyman’s lawyers argue in the motion that Shelby’s ability to be impartial in their client’s case is in question due to his friendship with Steven Bloch, SUWA’s legal director. …And so long as Mr. Bloch’s not involved in our case, I intend to remain in the case, but I wanted to make that disclosure. SUWA “strongly urged” prosecution in the case, the lawyers said in the motion, and noted that Bloch and other SUWA officials attended the entirety of Lyman’s multi-trial. Lyman and Wells are scheduled to be sentenced in federal court in September. Both face the possibility of a year in jail, a $100,000 fine each and possibly more in restitution for alleged damage done to archaeological sites during the protest ride. Lyman and his supporters said the protest ride into Recapture Canyon was in response to the BLM repeatedly refusing to work with the county to find a favorable solution concerning the canyon’s closure. Many locals also felt the 2007 closure was arbitrary and bypassed a federally mandated review process. Lyman said the protest riders had permission from the BLM to take ATVs on a preexisting right-of-way road that allowed access to a pipe maintained by the county’s water district. 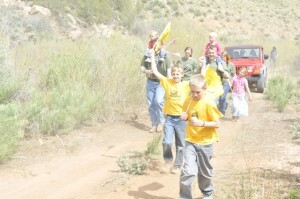 Lyman’s defense has argued that the ATV group never left the road and no damage was done. The BLM has said no such permission was ever granted and proceeded to charge Lyman, Wells and the others following the incident. Following Lyman’s conviction, the Utah Association of Counties asked the state’s Constitutional Defense Council for $100,000 to aid with Lyman’s legal expenses. However, the request was withdrawn due to potential legal concerns. In response, many rural Utah county commissioners, including Washington County Commissioner Alan Gardner, personally donated funds to Lyman’s defense costs. Gov. Gary Herbert also pledged $10,000. In all, over $15,000 was raised at the time. Lyman has stated that his situation is “a shout-out to county officials that they do not have jurisdiction in their counties” and that county commissioners who followed suit were in “grave jeopardy” of facing similar treatment from the federal government. Mr. Lyman or any one else who finds them self with a situation like this deserves to be treated fairly under the constitution. Shall we start with a FAIR unbiased, impartial judge? How did this judge think he could officiate in this case given the words out of his own mouth. I watched two different judges in the same New Mexico case recuse them selves because they both grew up in the same very small town where the family involved in the case was from. They even had the case moved to a different county to be sure the judge was a total stranger to the family and the situation. That being said I have seen my share of court cases and what I mostly see going on is a lot of unfair game playing by the two lawyers and the judge. The jury gets lied to etc. etc. Our system has been reduced to cleverly creating the illusion of justice being done because the majority of people in the country still want to think there is some sort of justice in the court system even thought they know their is not. “Lyman has stated that his situation is “a shout-out to county officials that they do not have jurisdiction in their counties” and that county commissioners who followed suit were in “grave jeopardy” of facing similar treatment from the federal government”. I completely agree actually. The Federal Government is saying “if you break the law and we catch you, you will be prosecuted no matter what your opinion of that law is”. Simone do you mean the federal government will show themselves for the totalitarian dictators that they are? That kind of heavy handed absolute power and control is what Thomas Jefferson wrote about in the declaration of independence . We all know what happened as a result of England’s actions and Jefferson’s words. The federal dictators are well on their way to provoking those sorts of actions from people again. As for the government’s laws, they simply make up anything they want to and then call it law. I DO NOT respect that. The government needs to shut up and back off period. England? Jefferson? How did they get into this? Federal dictators and made up laws? Lyman decided to protest the closure by ignoring it, he should be ready to accept the consequences of his actions. I agree Munchie. He knew the law, he knew what the consequences would be if he broke the law and yet he decided to go ahead with his plan. The man was a County Commissioner who swore to uphold the law and he broke that promise simply because he didn’t agree with that particular law. My question is, there are other things he could have done (sit ins, protest with signs, written a bill, organized a march on Capitol Hill, etc) that would have accomplished the exact same thing only he wouldn’t be facing a year in jail because he wouldn’t have been committing a crime. My point is this; You don’t like the law? Great! Work to change it but the fact that you disagree with the law doesn’t give you the right to break it. I don’t care what the tea party conspiracy theory BS says, America is still a democracy with a government led by the people and for the people. Disagree? Fine. Just be sure to keep that disagreement in mind when you vote for the President next November. Simone I think everyone should get a fair trial- everyone. No matter who it is, The judge should leave a case alone if he has a conflict of interest. Actually i don’t think the young man who went to federal prison for entering into BLM bids should have gone to prison. I think only true criminals /violent people should go to prison. I don’t like the government throwing it’s power around that way. A Democracy is two wolves and a chicken voting on what to have for dinner. In this country we are supposed to have a constitutional republic. People don’t just vote for ANY THING they want to like chicken for dinner. Government is supposed to conform to a set of rules- the constitution with it’s bill of rights. You are represented by legislators. You don’t vote on every little thing. I also don’t think we have clean, fair elections in this country any more. The elites run the government and then let you think your vote counts. If that makes you happy good on you. I meant it when I said un elected government agencies like the BLM make up anything they want to and call it law and then try to enforce it. Why doesn’t the park service at Zion make a law saying no one can wear sun glasses or else they will go to jail. They CAN go that far and get away with it. Wear sunglasses at Zion and go to jail? There is no limit to WOE IS ME’ s hyperbole. It’s hard not to insult asinine comments but I’ll try harder for your sake. Free parking, I bet you ruminate and confabulate often. You seem to lack the ability to articulate a rational rebuttal since you rely on nothing more than your colon and roll of toilet tissue. As for Native born New Mexican, your original comment was reasonable and rational and presented a well voiced comment. Your rebuttal to Simone are appreciated and strongly supported. Well done. When you can’t think of anything better to say you name call instead. I stay as far away from government programs as I can because I don’t want your tax money free parking. That is also why I have never wanted a government job. How much government money are you receiving? Mesa and native born should breed (if mesa is capable) and we’d get as half-wit out of the union. Is that intelligent enough you bag of bigoted self-righteous hot air. Is this a “confabulation”? Your lack of intelligence is showing 421/2. You are, in total, a confabulation. Simply pull the handle and you will flush away. I hope. The only thing you are capable of 42214 is insults and not intelligent conversations. Why do you need to make differences of opinion vulgar and personal? Guess what that says about you and your ideas? I don’t have to say anything about you. You are saying it about yourself. Mesa and Native might already be breeding as I type this. Hey, scummie, go look for your marbles, you seem to have lost a lot of them. Cute. Not very creative but, for a liberal, an outstanding job of whining “Momma Whomper”. No sense? Now you are beginning to overcome your political trephination. I bet you have a picture of John D Lee above your fireplace. Seems like he would be a role model for you. Mommy whimper? You’re the gift that just keeps giving. I thought liberal or conservative were just different adjectives describing a person’s political beliefs. You use liberal as a slur or insult. Could you explain that. You want serious dialog, show us what you got mesaman. While you’re at, why am I a “liberal”? Mesa, if you cut and run I’ll assume you don’t have an intelligent response or just cowardly. The huge rift between the state government and the federal government is starting to get ugly here in Utah. Momma whomper, baby smacker, you’re a hoot! You remind me of Howard Cosell. He threw “big” words around trying to impress people but was best known as a blowhard. The thing about trying to impress people with obscure, rarely used words is that it only impresses one person. The windbag that is saying it. Mesa, I figured out your problem. You have a Oedipus complex. The momma whomper gave it away. Baby Smacker is just a secondary emotional disorder. It all explains your bitterness and hostility. If you’re not too old and senile you should get counseling. Mesa , you disappointed me. Didn’t think you’d run and hide like this. Talk later.